Arthur A. Levine Books, 9780439784542, 672pp. Revealed at last–now that the fog of whipped-up anticipation, secrecy, hints, threats, news stories of legal action, wild speculation, midnight-oil-burning and marketing smoke is thinning–the penultimate Potter sequel delivers, as have its predecessors, a tale worth the wait. Readers who felt a bit hammered by the adolescent rage coloring Harry Potter and the Order of the Phoenix (2003) will be relieved to find that Rowling has returned to the lighter tone of earlier episodes, though properly portentous events do swirl in the background, and, as promised: There Is a Death. Harry enters his sixth year at Hogwarts knowing that he has a pivotal role to play in the now-open war against Voldemort, sure that Draco Malfoy is up to something, and more than a little conflicted by his attraction to Ginny Weasley, sidekick Ron's suddenly not-so-little sister. Harry's relationship to Dumbledore is entering a new phase, too, as under the kindly old wizard's direct guidance, he begins taking trips through a series of magically preserved memories to explore his archenemy's parentage and character. Meanwhile, Harry's glee at getting a leg up in Potions class thanks to a heavily annotated old textbook that once belonged to a mysterious “Half-Blood Prince” rivals his discomfort at being caught between Ron and Hermione, who are going through a rocky patch, and the horror of discovering that his new Defense Against the Dark Arts instructor is none other than hated, hateful Severus Snape. How could Dumbledore possibly insist, as he repeatedly does, that Snape is a trustworthy ally? While charting teenage infatuations and friendships with a wry wit that occasionally tumbles into outright merriment, Rowling tucks in several revelations (notably, the secret to Voldemort's seeming immortality), adds a dash of sympathy for Malfoy (of all people! ), who does indeed turn out to be part of an ugly scheme, and further develops Snape's role as a pivotal character. Then, after a heartrending test of Harry's loyalty to Dumbledore, Rowling propels the plot to a climax that is–thanks to artful pre-pub preparation–tragic, but not uncomfortably shocking. This newest excursion into the Potterverse will leave readers pleased, amused, excited, scared, infuriated, delighted, sad, surprised, thoughtful–and likely wondering where Voldemort has got to, since he appears only in flashbacks. There's no doubt, however, that he'll figure prominently in what promises to be a spectacular finish. 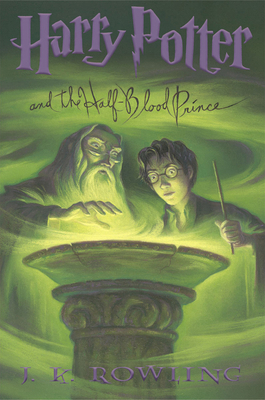 ROWLING, J. K. Harry Potter and the Half-Blood Prince. illus. by Mary GrandPré. 672p. Scholastic/Arthur A. Levine Bks. 2005. Tr $29.99. ISBN 0-439-78454-9; PLB $34.99. ISBN 0-439-78677-0. LC 2005921149.